Protest Songs. A free 6-week workshop programme open to all who would like to sing with us, no matter what your singing experience. All the music will be taught by ear by our facilitator has wide experience in leading community singing as well as in vocal work with actors and theatre students. 650 years of protest in song! Well, just a little shy of 650 years. Six hundred and thirty-seven years, if you’re going to be pernickety about it, but I like nice round numbers that look forward as well as back as much as I like to think that protest songs will still be written and sung for so long as the world needs them. Because beginning with at least two songs credited to the Peasants’ Revolt of 1381 and on through the centuries to the likes of Captain SKA’s Liar Liar and Commoners Choir’s Boris Johnson’s Head Upon A Stick in the present, people have used song as a medium through which to express and share their social and political grievances, their critique of present ills and their dreams of a better future, their beliefs and their aspirations, and their outrage and solidarity and defiance as social movements confronting injustice, inequality, tyranny, and oppression. Songs to march with, songs to rally with, songs with which to celebrate solidarity with one’s fellows, songs with which to change the world. 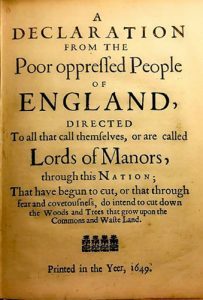 ‘The World Turn’d Upside Down’ (1381 to circa 1900): typically songs of the common people bemoaning poverty, political and economic tyranny, social inequality and lack or loss of opportunity. We’ll be listening to–and you’ll have the opportunity to enjoy learning and singing–examples of rousing protest songs from each of these eras as we not only explore the history but also practice singing techniques. But this is not the time nor the place for me to tell the history of protest songs. The time in fact will be 10.00 to 12.00 on Thursday, 26th April and weekly thereafter for six weeks; the place, Brompton Cemetery Chapel, Fulham Rd, Kensington SW10 9UG. For further information, you can download a flyer here. 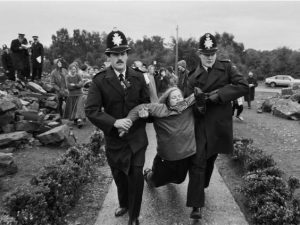 If you’re interested not just in learning more of the history of protest songs but also in grabbing the opportunity of singing the songs with a bunch of friendly people, drop us a line at bromptonproject@royalparks.org.uk to let us know. Put “Protest songs” in the email header, and we’ll get back to you pretty much immediately. We’ve created a resource-rich Learning Pack to accompany these workshops. Click here to jump to the introductory chapter.